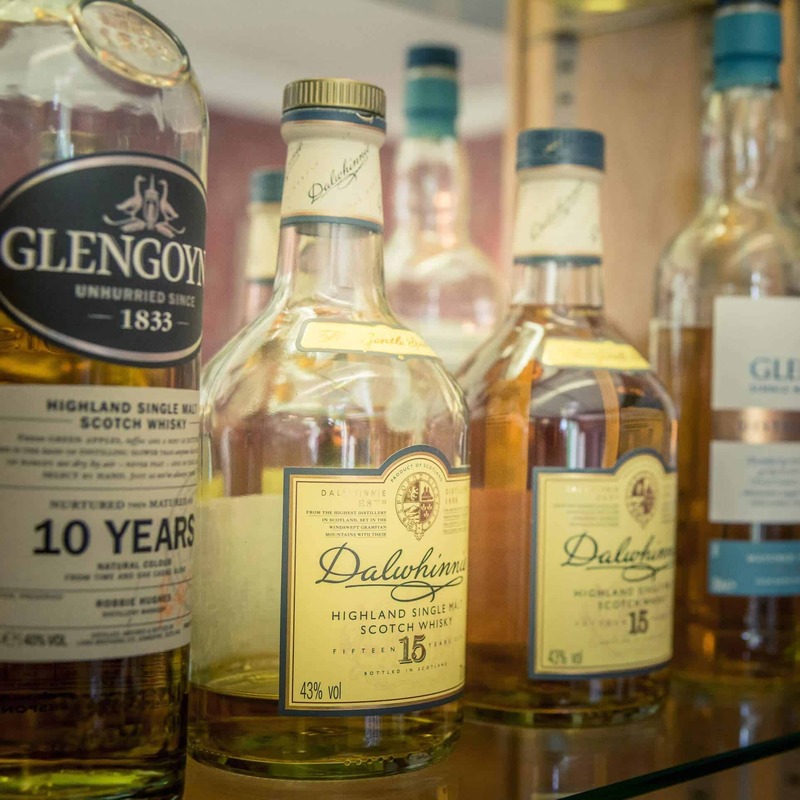 The bars and lounges at Kinloch House are ideal for enjoying pre-dinner aperitifs, after dinner liqueurs or one of our stunning range of Scottish malts. relax with family and friends and play cards, board games or pick a book from our library. 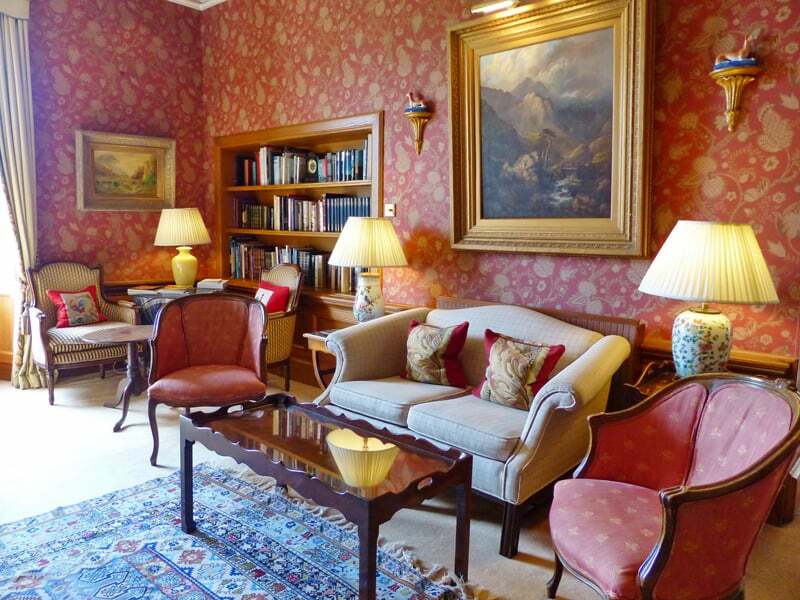 Kinloch House is deceptively spacious with many areas in which to relax, read, and dine with friends and colleagues. Cosy, comfortable and attractively decorated, Kinloch House reflects true Scottish classic country house charm. You can’t help but relax and de-stress. Enjoy a simple touch of traditional elegance and luxury, liberally sprinkled with the very best of modern comforts. 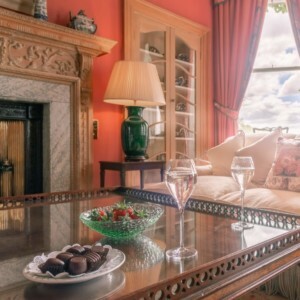 The bars and lounges at Kinloch House are where guests find that soft and soothing atmosphere which allows perfect relaxation. Here the setting is one of the most stunningly beautiful parts of Scotland, where all the adventure, the romance and intrigue is etched into the landscape, castles and historic places which surround Kinloch House. Lovers of the great outdoors can tour the famous castles of Perthshire or go biking and rambling in the area. Guest can sample the Water of Life in Perthshire’s famous malt whisky distilleries and find a bargain in Perth’s exclusive shopping places. Here you can fish for sea trout and salmon in our challenging rivers, including the famous River Tay. Lovers of the great indoors, on the other hand, can simply relax with a glass of excellent wine or a warming spirit, linger over our tempting menus and succumb to the relaxing atmosphere that brings our guests back to Kinloch House time and again. The soft tones and huge open fireplace of the Bar Lounge provide an atmosphere which lends itself to the study of rare and delicious malt whiskies and Graeme Allen is a knowledgeable ambassador for Scotland’s most famous products. Aperitifs, canapés, coffees, liqueurs and liqueur coffees are also served in its relaxing ambience.